CES is done for another year, but before we can drop the microphone, we need to put together a reminisci-package to summarize the week in notebook computing. This year's show was chock-full with Ultrabooks, leading many to believe that full-fat notebooks are going the way of the Dodo. However, Intel's Kirk Skaugen feels that rumors of the laptop's demise at the hands of the Ultrabook are greatly exaggerated -- seeing the latter as merely a subset of the overall mobile PC firmament. Intel announced its power-sipping Haswell architecture and revealed its highly desirable North Cape reference design, which offered us a tantalizing glimpse of what future hardware could be like. However, before we get to that, we need to deal with the hardware hitting stores this year, so if you'd like to know more, follow us after the break. 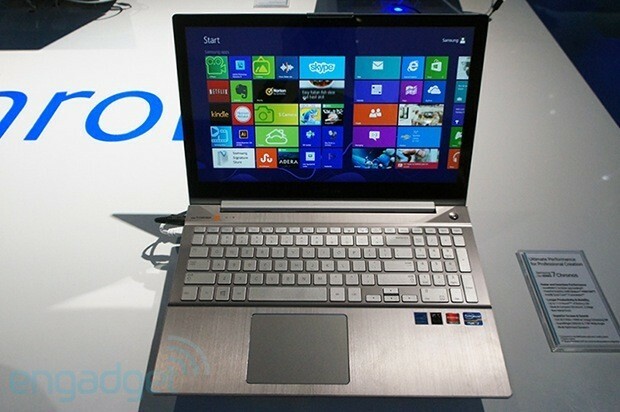 Of all of the various Ultrabook concepts, Lenovo's Yoga 11S four-way device has the most potential. In reality, however, the 13-inch version came with a few issues, but we're hoping that the company will at least bring the latest model's keyboard up to its traditionally high standards. 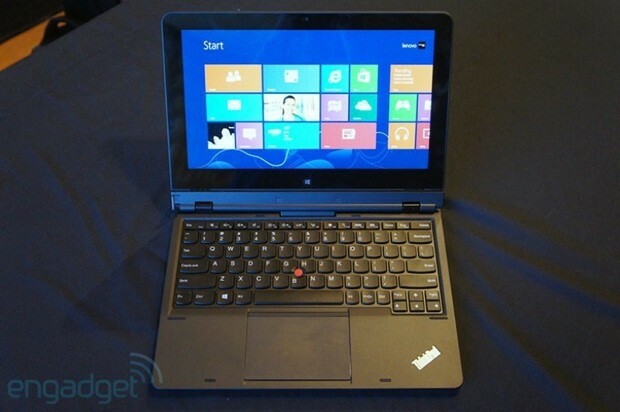 Unlike the Windows RT-based Yoga 11, this version runs full Windows 8 and gets a beefier 1,600 x 900 IPS display. 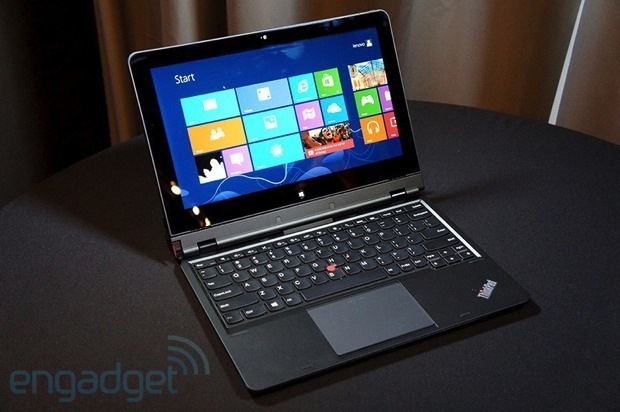 It will also accommodate up to 8GB of RAM along with a 128GB SSD. If there's a downside, it's that the company hasn't revealed whether it'll pack Ivy Bridge or Haswell internals -- but we hope it's the latter for that bargain starting price of $799. When it comes to super-thin devices, no matter how many times we're burned, we still come back for more. 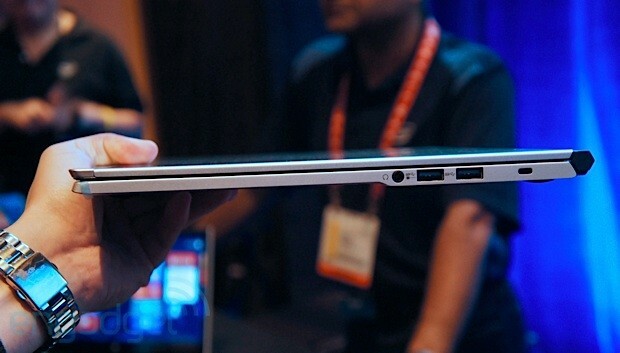 The latest impossibly thin Ultrabook that wants our hearts (and wallets) is NEC's LaVie X. We're a bit light on the specs front, except that it'll be based on Haswell and rock a 1,920 x 1,080 display. What we can say is that it certainly looks exciting, and we'll lament the fact that it's currently tipped to be exclusive to Japan. Anyone fancy bringing one back for us the next time they take a trip that way? If you produce thin-and-light laptops that don't meet Intel's ever-stringent requirements -- namely using the company's components inside -- then you don't get to use the name. 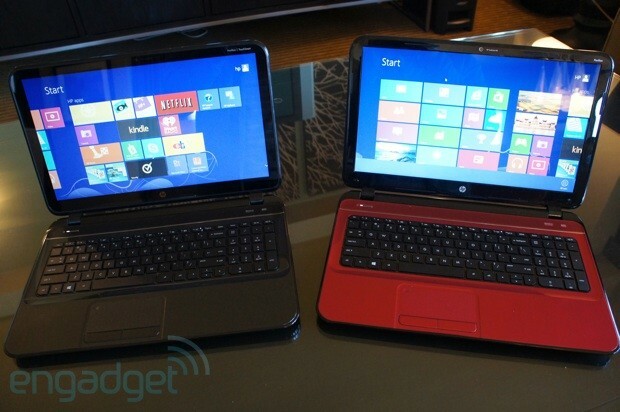 That's why this HP Pavilion device can be found on the shelf marked as a "Sleebook." Packing a 15.6-inch, 1,336 x 768 display (with optional touchscreen), along with a replaceable battery, AMD A6 CPU and 4GB of RAM, it will go on sale later this month for $499. We were torn between selecting Samsung's Series 7 Ultra and this unit, but decided to show the latter some of our well-earned love. For performance nuts, the most eye-catching laptop at the show must have been Samsung's Series 7 Chronos. Sitting on a gilded throne atop the company's laptop line, it comes with a 2.4GHz Intel Core i7 3635QM CPU and a Radeon HD 8870M -- making it capable of handling anything you throw at it. Its 21mm-thick body may be a tad hefty if you're used to noodling around on a thin-and-light device, but inside that chassis lies a body that promises a fantastic 11 hours of battery life. The company won't talk about pricing or availability, but hey, this is Samsung -- we can't imagine it dragging its feet too much. Lenovo's ThinkPad Helix 11.6-inch Ultrabook with a reversible display offers a slightly different experience to the equivalent Yoga. For one, it gets a bundled stylus and ditches the hardware buttons on its trackpad in favor of emphasized use of the TrackPoint. Secondly, it's much more powerful, capable of supporting a Core i7 CPU, LTE and a promised 10 hours of battery life. And thirdly, the company is ushering in a new era with a buttonless trackpad, which might grate on passionate ThinkPad diehards. It will go on sale in February and set you back $1,499.